Humility and Man: Exhibition in Honor of Ralph Wilson Jr.
Pierre-Auguste Renoir (February 25, 1841, Limoges, Haute-Vienne, France, to December, 1919, Cagnes-sur-Mer, Provence-Alpes-Côte d’Azur, France) was a French impressionist artist. The way light and sunbeams fell on delicate female skin or on the golden hair of a child fascinated him. 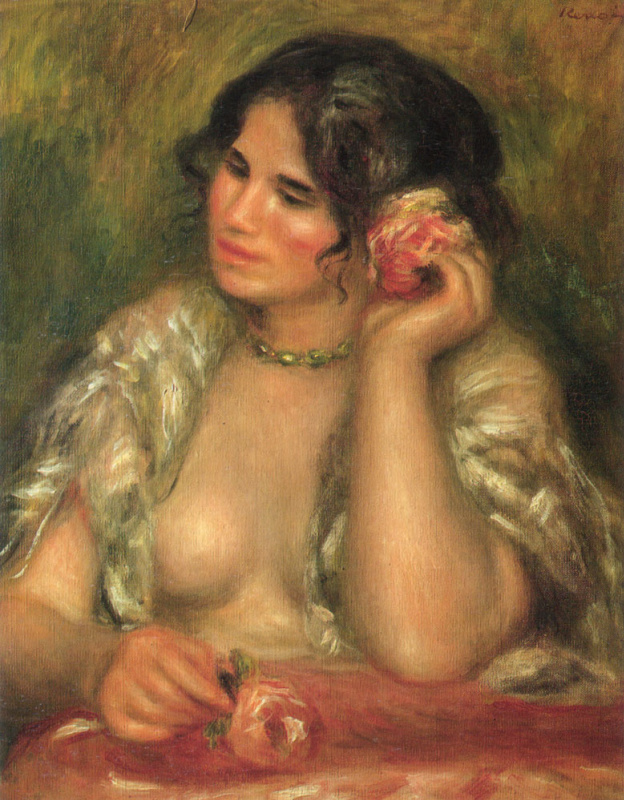 Renoir was always interested in people and he achieved all the main principles of Impressionism in his portraits of relatives, friends, wealthy customers, and favorite models, some of which were famous and influential and some of which were chance meetings with long forgotten strangers. 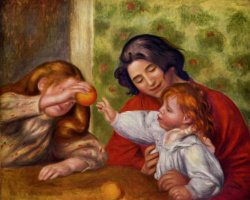 Attributes of His Works: Emotionality, fleetingness, a quick pictorial sketch created from the first impression, all the things that all Impressionist painters were focusing on Renoir did with large-scale multifigure pictures and in family portraits. Constantly searching for artistic truth, he cardinally changed the way he painted in different periods of his life and experimented with new colors, sometimes focusing on the clarity of the picture and sometimes eschewing a light palette in favor of a rich red or polyphonic black. Little Pierre-Auguste Renoir’s first drawings were on the floor of his house using tailor’s crayons. His father complained when he didn’t put them back on the workbench where they belonged, but he supported his son’s enthusiasm and hoped that it would help in choosing a profession. In the evenings, the cuttings, threads, and needles were removed from the workbench and they arranged a bed for the young draftsman for the night. Auguste had two outfits as a child, he slept on his father’s workbench, and he spent days playing with the other kids on the streets, but his most successful pastime was in his singing lessons. His voice was so good that the regent of the church choir (the young and still unknown composer Gounod), singled out Renoir, gave him individual lessons, urged his parents to give him a musical education, and promised to arrange a place for him in an opera choir. 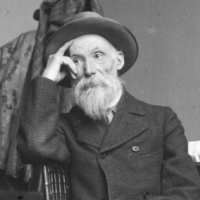 However, when it came time to learn a craft, 13-year-old Renoir became a porcelain painter and caused much distress to his patron Mr. Levy, master of the porcelain workshop. "Just a boy, and he earns so much money!" he lamented. 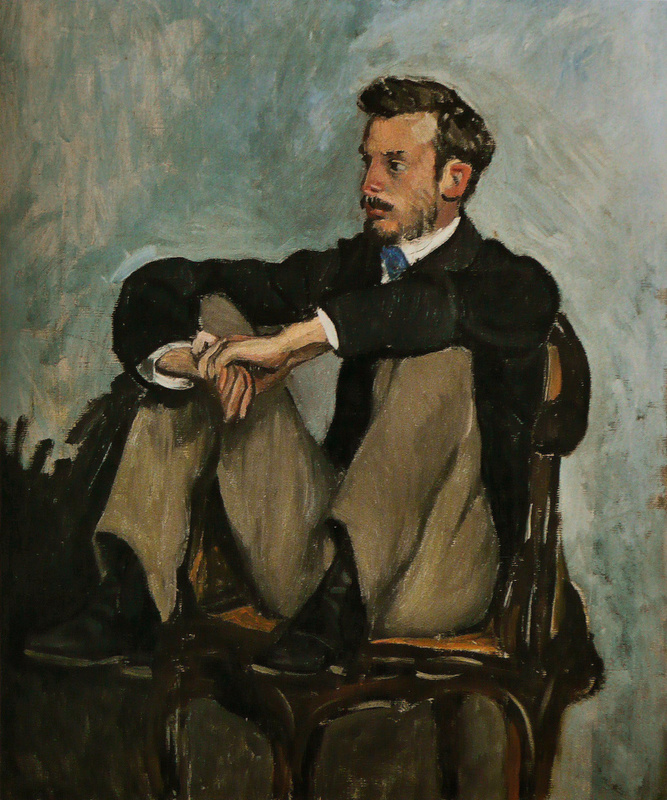 The owner cut his pay and transferred August to piecework, but Renoir worked so quickly and skillfully that he soon earned enough money for a house for his family. Seventeen-year-old Renoir showed the same unnatural speed and skill in his next line of work painting curtains, and then just as quickly painted a couple dozen cafes in Paris, inspiring visitors to come to admire the walls and completely forget about drinking coffee. 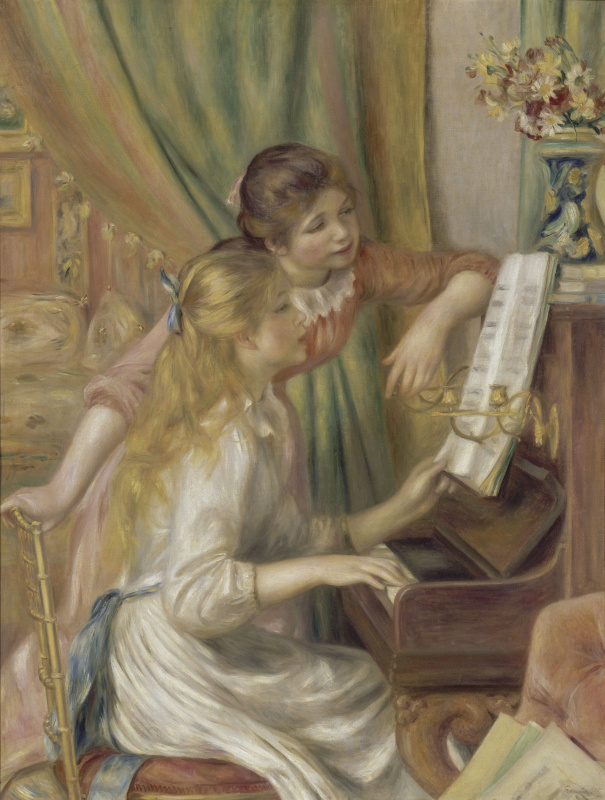 By the age of 20, Pierre Auguste Renoir decided to be an artist and found that he now had enough money to pay for tuition at art school. His savings were just enough to live as a student, and it turned out that making a living painting, particularly as a revolutionary on, is not so simple as painting portraits of Marie Antoinette on plates. 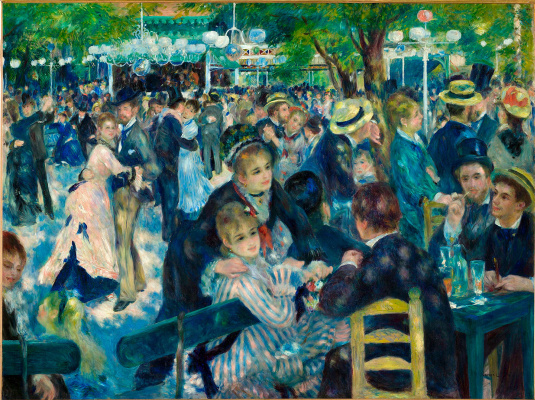 Dance at the Moulin De La Galette (1876, Musée d’Orsay, Paris) is one of Renoir’s most famous works and shows how average people spent their Sunday afternoons in Paris. 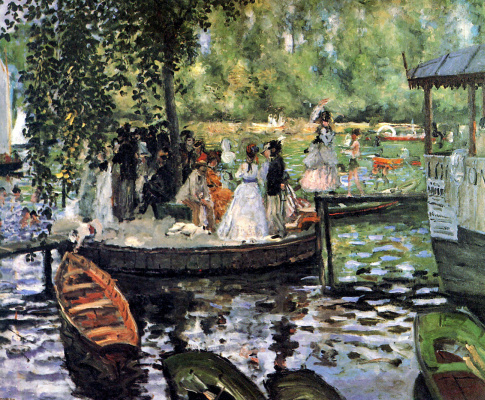 One day in early summer, Renoir sketched a ball at the Moulin de la Galette in Montmartre. He couldn’t get the idea out of his head: paint a plenair not in the woods among the still trees and or on the bank of a river, but in the thick of a crowded party. To do this, the artist lived in Montmartre for a whole summer, quickly becoming a local celebrity, although it wasn’t the calmest or most stable place to live. Children were often born out of wedlock, and while their mothers were working and grandmothers farmed, they were left to themselves, wandering about unwashed and hungry. Renoir gave them cookies, milk and handkerchiefs every day and worried about the latchkey kids: what if a fire started or a cat jumped into their cradle? He didn’t think about the morality of the women, instead admiring their beauty, shining eyes and young skin, all collected in a careless bundle of hair and sincere smiles. The Fournaise family restaurant was a hotel, a yacht club and the favorite meeting place for young artists and writers in the suburbs of Paris. 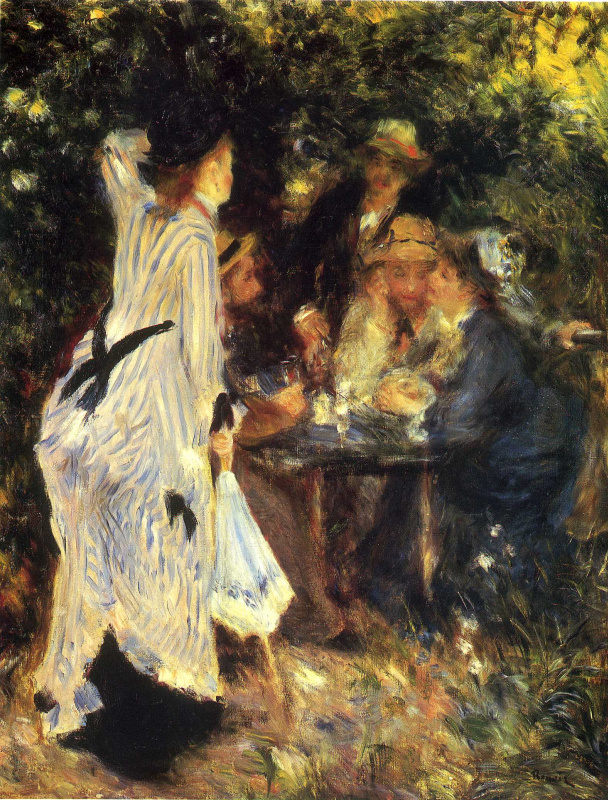 Renoir lived there in the summer in the town of Chatou and invited his friends to dine with him on days off and pose for Luncheon of the Boating Party (1880−1881, The Phillips Collection). Aline Charigot, his future wife, is shown playing with the dog, Gustave Caillebotte is on a chair smoking in a straw hat, and Jeanne Samary fiddles with her hat in a discussion with art critic Charles Ephrussi. Alphonsine Fournaise, the daughter of the owner, rests on the railing of the terrace, and Monsieur Fournaise himself is the muscular bearded man in a straw hat peering into the distance. All of them were in Chatou at different times and all patiently posed as Renoir requested. 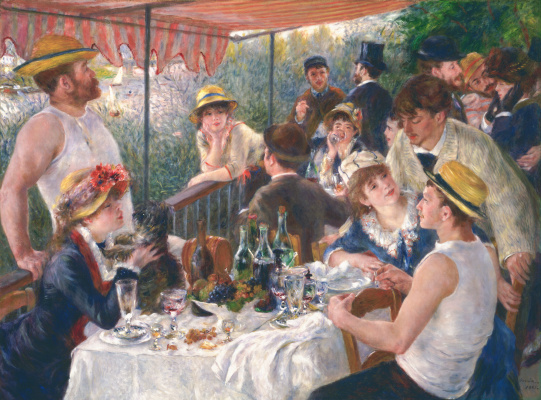 Today, the Maison Fournaise looks exactly like it did in Renoir’s day, and the terrace on which the luncheons took place is called Renoir. 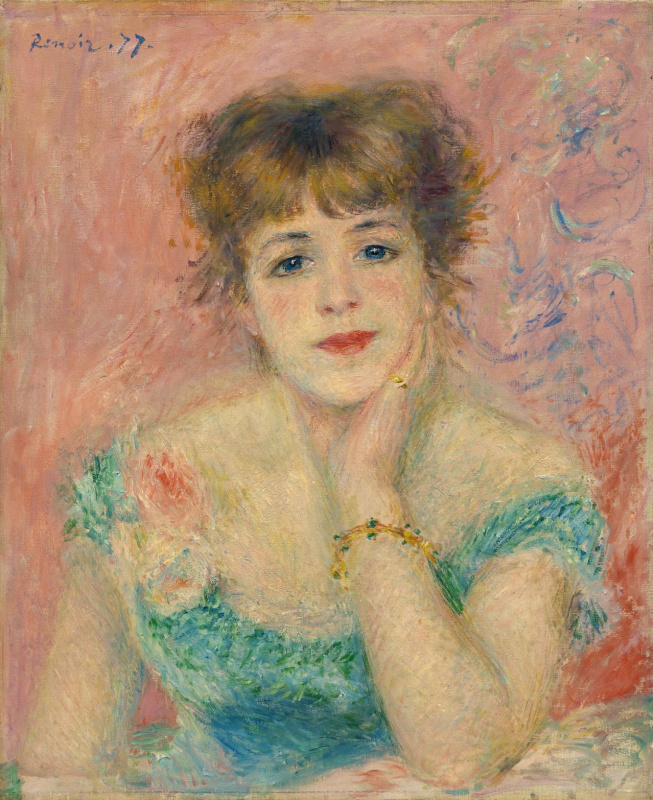 The Portrait of the Actress Jeanne Samary (1877, Pushkin State Museum of Fine Arts, Moscow) was one of many of Renoir’s paintings of the promising young actress. He went to see her at the premiers of all the plays she appeared in, and when her parents requested that he paint her, he agreed. Critics, however, were dismissive of Impressionist artists at the time and the portrait brought neither of them the acclaim that they sought. The Swing (1876, Musée d’Orsay, Paris) also featured Jeanne Samary along with Renoir’s brother Edmond, the painter Norbert Goeneutte, and a little girl. Jeanne seems to be blushing, adding an element of intrigue to the painting, and beyond the quartet stand another four people, which gives it depth. It took Renoir several years to paint The Umbrellas (1880−1886, Hugh Lane Gallery, Dublin). Observant art critics note that this can be judged by the mismatched styles of the women’s outfits. However, for laymen who haven’t carefully studied the fashion trends of the 19th century, it can be seen in the contrast in the way it was painted. The figure of the girl with a basket and men in the background and their umbrellas, which create a striking volume and depth, are already signs of a changing style, growing out of the original impressionism. Renoir spent his entire life experimenting and searching for artistic truth and, despite his constant disdain for all kinds of theory, he experienced a real crisis in finding the right image: pleinair or a studio, accurate representation or a fleeting pictorial impression. 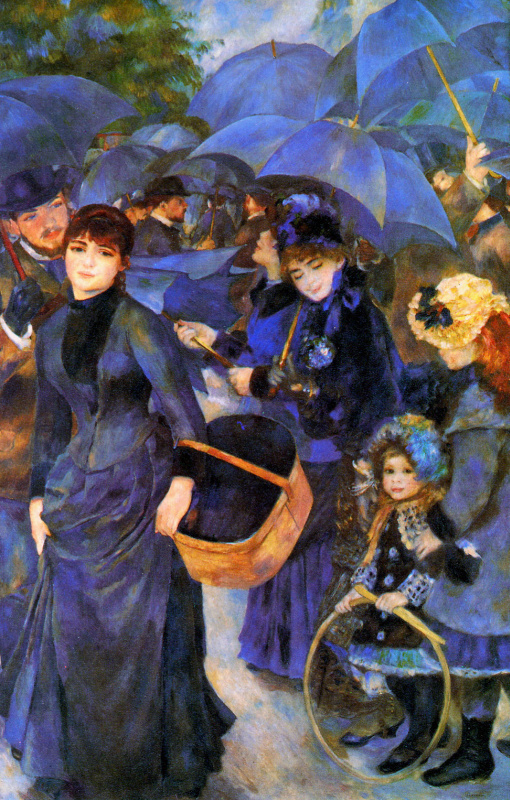 The Umbrellas became the most harmonious and skillful embodiment of Renoir’s artistic crisis and one of the first paintings during his lifetime to find a place in the museum next to the works of recognized masters. You could be forgiven for thinking that Madame Georges Charpentier and Her Children (1878, Metropolitan Museum of Art, New York City) was a portrait of socialite Madame Charpentier with her two daughters and the family dog, but in fact the child sitting closest to Charpentier was her son Paul who, in the style of the times, had long hair and was dressed as a girl. The fashionable Japanese style of their interior is also noteworthy. This painting was the first Impressionist work at the Metropolitan Museum of Art. Renoir continued painting into his last days, after suffering a stroke and rheumatism, dying at home in Cagnes-sur-Mer, France, in 1919. He was buried next to his wife, who had died in 1915, in Essoyes, France.